With a population of 9.1 million, chronic malnutrition can reach 48.5 percent in rural areas. Poverty is the root cause of hunger in Honduras, but inequality, violent crime and vulnerability to extreme climatic events exacerbate food insecurity. The most vulnerable people include women, girls, children under 5, people with disabilities or HIV/AIDS, and indigenous populations in rural areas (where more than half of the extremely poor are concentrated). Recurrent natural disasters undermine Hondurans’ efforts to make a living. Hurricanes and prolonged heavy rains ruin crops and cut people off from other food sources and basic necessities. When it’s not raining, prolonged droughts cause crops to wither and worsen food security for those who are already hungry. In 2015, irregular rainfalls resulted in the loss of more than half of all the country’s crops. To cope, people have resorted to migration or the sale of productive assets. These regions are characterized by environmental degradation and include a high concentration of small-scale subsistence farmers. Limited access to stable, fertile land, technology and agricultural assets hampers any potential development of the agricultural sector. As of October 2018, WFP is assisting nearly 28,000 people in Honduras every month. 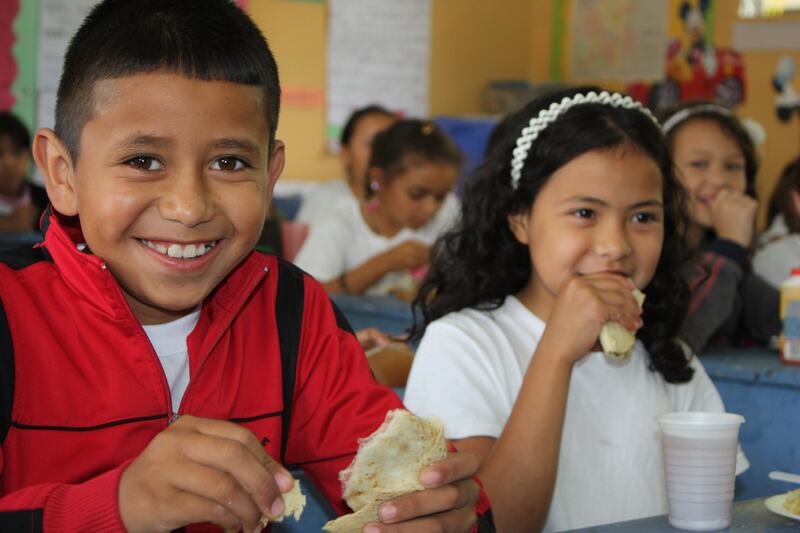 WFP has been present in Honduras since 1970, helping improve food security, health and education for the most disadvantaged rural population. School meals – WFP is supporting the Government’s efforts to provide a daily nutritious, diversified meal, prepared with fresh, locally-grown ingredients to pre- and primary school children, with a special focus on children living in the most food-insecure areas. Nutrition in “the first 1000 days” – This program provides specialized nutrition supplements to mothers and children during the critical “first 1000 days” of life, which begins in pregnancy and lasts until a child’s second birthday. Combined with nutrition education, the program aims to prevent stunting and micronutrient deficiencies. Resilience building – WFP supports small-scale farmers and agricultural laborers, with a special focus on women, in creating or rehabilitating climate-resilient assets to improve their productivity, income, livelihoods, nutrition and food security. Purchase for Progress (P4P) – This program connects small-scale farmers to local markets, including WFP’s own supply needs. Farmers participating in P4P also gain access to agricultural supplies, credit and technical assistance, and supply chain management.